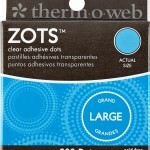 Zots are available in a variety of permanent sizes (3/16 by 1/64-inch (300), 3/8 by 1/64-inch (300), 1/2 by 1/64-inch (300), 1/2 by 1/16-inch (250), 1/2 by 1/8-inch (200), 3/8 by 1/64-inch (200), repositionable, and all are acid free, clear double-sided, high-tack, and form an instant bond with photos, paper, acetate, plastic, glass, chipboard, fabric, yarn, thread, ribbon, wood, and much more for scrapbooking, card making, paper crafting, home decor, and more. All Zots products are acid-free, archival, and conform to ASTM D4236. Made in USA. Me & My BIG Ideas Glitter Sticker Flip Value Packs come with 5 sheets of perfectly coordinated sticker designs. The designs include a sparkle of glitter on them for texture. 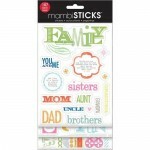 All 5 sticker designs are easily visible to the customer with the flip of the top sheet. Perfect for having everything you need right at your fingertips in a handy 5″x 10″ package. All of the designs are acid-free and lignin-free. Includes 1 sheet each with the alphabet, photos stickers, small caption stickers, large caption stickers and border designs. Apply these dazzling accents to scrapbook pages, cards, apparel, masks, boxes, frames, and countless other craft projects. 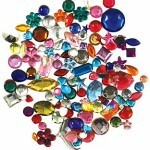 These colorful acrylic gems come in all sorts of sizes and shapes including: hearts, flowers, ovals, squares, rounds, rectangles, teardrops, stars, crowns, and more! 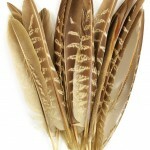 Dyed Feathers are not Colorfast. 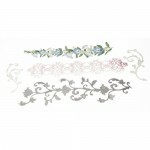 Create lovely layering with these beautiful cardstock and acetate embellishments. Just place on your layout for the perfect finishing touch. Live it up, mark the page and smash it in. This is the “unscrapbook” for the person who doesn’t have time or thinks they aren’t creative. Great way to keep track of your life, remember funny things, inspirations quotes, and project ideas. 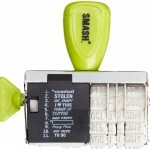 “Live it up, glue it down, and smash it in.” K&CompanySmash Stamp lets you add dates and sayings in an instant. Includes months, dates, years, and 11 graphics. FIBRE CRAFT-Creative Hands: Peel & Stick Foam. 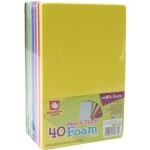 There are so many fun crafty things to do with these colorful adhesive foam sheets. 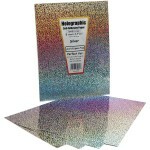 This package contains forty 5-1/2×8-1/2 inch foam sheets in a variety of colors. Imported. 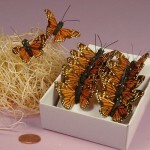 These 1-1/2″ Orange Monarch Butterflies are as beautiful as the real thing. Great for floral arrangements and art and craft projects, the wings of these faux butterflies are made of a feather-like material to feel and look as real as possible. Each Monarch butterfly is pre-attached with a wire tie for easy attachment. 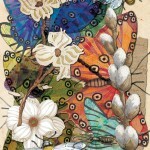 Butterfly measures 1-1/2″ wide and 1″ tall. Available in other colors.